I loved every moment I spent with these lovely people. I make sure everyone has FUN! 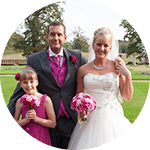 Toastmaster Roy Austin's Wedding Service is very bespoke, its your day I work to your requirements to make certain your wedding day is a day you will always remember. 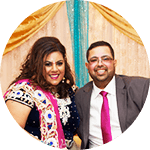 From the moment I am booked I am working for you giving you help and advice, that has come from many years experiance in the Wedding Industry. 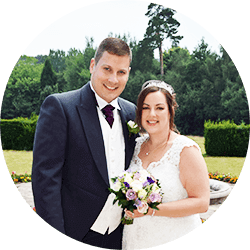 I have many satified Bride & Grooms that speak very highly of the Wedding Service I provide, have been a Professional Toastmaster in the wedding Industry for over 24 years. Affiliated to Toastmasters General Council, Past Member of Independent Toastmasters Association & English Toastmasters Association. Thank you for being part of mine and Minesh’s special day. I know it wasn’t easy, especially as we had 2 ceremonies, the English Civil and Indian ceremony. You helped to make the day flow, kept the crowd entertained to help fill the gaps, and they all loved you. I have already recommended you to my friends and look forward to hopefully seeing you at their wedding. A huge thanks to Roy for helping to make our big day everything we wanted and more. When we hired Roy to be our Toastmaster he promised us that he would manage all of the suppliers, make sure timings were stuck too and keep the day on track doing everything he could to make the day the best of our lives. All I can say is that he delivered and more- all we had to think about was enjoying ourselves and capturing the moment. For those of you out there wondering whether to have a Toastmaster or not just DO IT.